You won’t want to miss GPA-WI’s biggest fundraiser of the year! 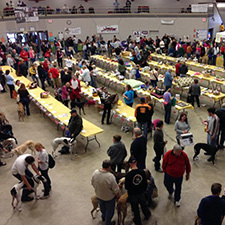 At the Gala Greyhound Gathering, hundreds of greyhounds will gather from all corners of the state for shopping, games, silent and live auctions, contests, food, photos, the radar run and so many more exciting activities. All well-mannered greyhounds and their owners are welcome.